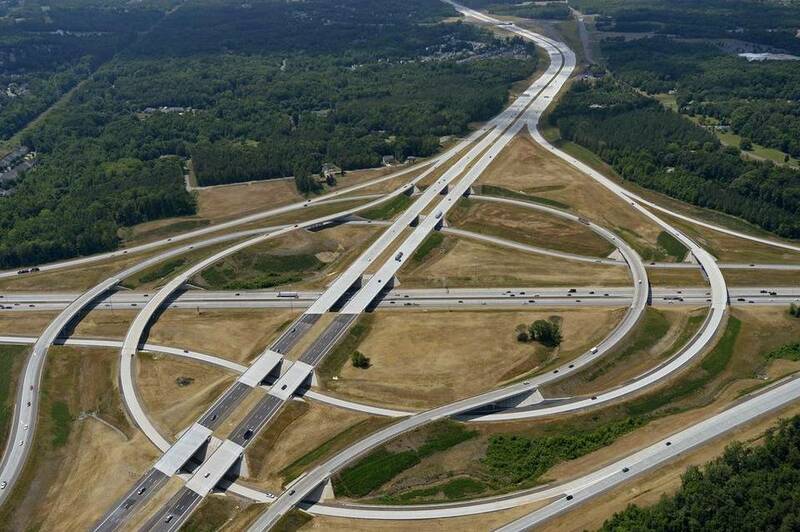 KCA is the lead CEI services firm for NCDOT on these design-build projects. The I-85 project cost is $125.1 million and consists of widening to eight lanes with concrete pavement, two diverging diamond bridges at the interchanges of NC 73 and Poplar Tent Road, retaining walls, and sidewalk construction on NC 73 and Poplar Tent Road. The I-85/I-485 interchange project cost is $92.1 million to construct a turbine interchange. This interchange has two reverse spiral structures, with super elevation deck transition, 10 integral end bent structures, nine standard end bent structures, two culvert extensions, one new access culvert, temporary basket retaining walls, one continuous steel girder structure, two concrete deck pours with more than 450 cubic yards placed during single pour, multiple foundation types (shallow pile, deep pile, and drilled shafts [with temporary casings]), two-stage bridge construction at Bridge 14 (Mallard Creek Road), 10 mechanically stabilized earth (MSE) walls with four built on a radius, multiple structure end bents constructed on large fill areas, reinforced slopes with a 1:1 slope, drilled shafts, and columns constructed within the I-85 median, and 4 four-span bridges.